American Retail Supply offers variety of shelving to choose for your Retail Store. 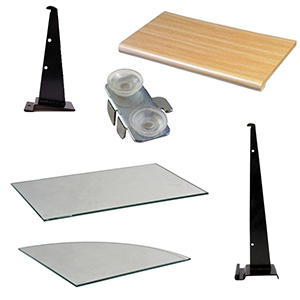 We offer shelves to merchandise light to heavy weight items in your store. Choose from Best Quality Tempered Glass, Acrylic, Wire, Bullnose Shelving, Melamine and Gondola shelving. If you don't find what you need, we are always Happy to Help - Call us at 800-426-5708.